My name is Marysia Tyski and I am the sole owner, designer and producer behind my brand Rish Jewelry. Rish is a line of sterling silver, brass and bronze jewelry, handmade in East Vancouver. I have been on a creative path since birth, and I often say craft is in my blood. Every woman in my family has some sort of craft or art that they do for a living or are passionate about, and we were encouraged from a young age to draw, paint, sew and sculpt. I made my childhood dreams a reality by working hard to build my skills, and later attended Emily Carr where I acquired a BFA in Visual Arts as a young adult. Upon graduation, I took on some odd jobs to pay the bills while I figured out what I wanted to be and do. I fell into jewelry design naturally, while working at a bead shop on Granville Island. I took a basic silversmithing course to build on what I had already learned in that shop, and continued to work there while I started the beginning of my brand. Through selling my own designs in stores and at craft markets over the next few years, my following and line developed to the point where I could quit my job and give Rish Jewelry the full-time effort and attention it deserved. The rest is history. 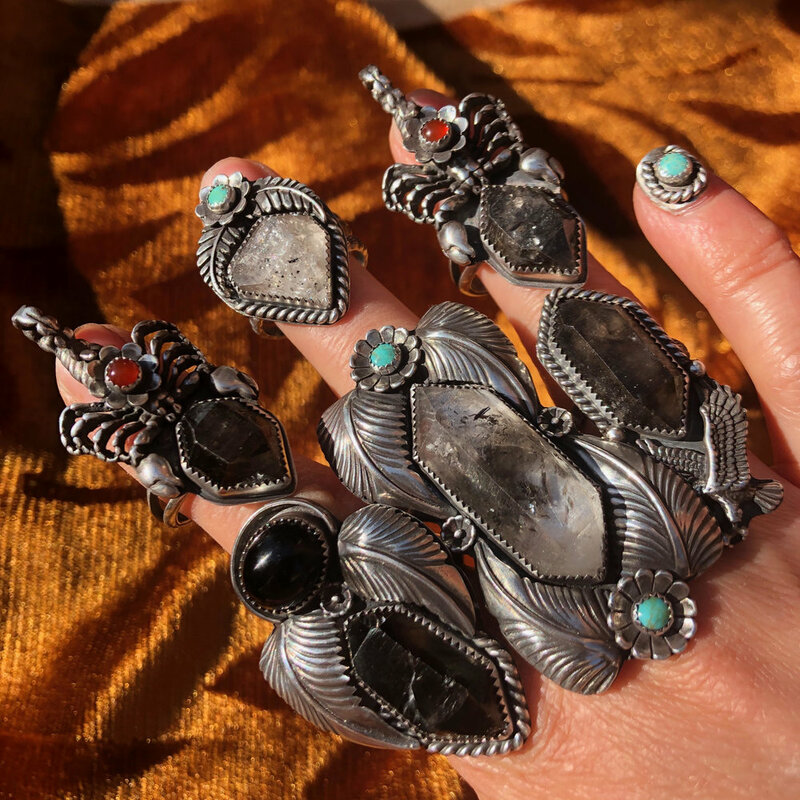 I find my inspiration primarily in Retro and Southwestern jewelry. Imagery in motorcycle culture, the occult, psychedelia, rock music and anything that feels on the fringe, mysterious or cosmic is what drives the creative vibe behind my designs. Quitting my job and making the jump to Jewelry full time would be the largest and most rewarding risk I’ve taken so far. I had reached a point where I could sustain myself on my line alone, and if anything the job was holding me back, so it was a calculated risk. I challenge myself by taking risks with my designs regularly. I always allow myself to indulge in whatever strange idea that forms in my head, like making jewelry that glows in the dark. That one was for the books, because it wasn’t something anyone had tried before, and resulted in these magical pieces that people seem to love. This kind of risk taking is important for my creative process whether or not ideas take off. I would love to collaborate with The Long Run Leather Co. We have the same feel to our work but we’re both pretty busy. I would like grow my brand and increase my internet presence. I’m sort of an analogue person, I always joke that I’m afraid of the internet, it’s probably time to get over that. I don’t think I’ll ever fully walk away from doing craft markets. I need and love the face to face interaction with customers. I am starting to work with much larger, intricate pieces like squash blossom necklaces and concho belts, I would love to do much more of that.